George, Bill, Frank, and Dale are four guys I've known, average guys, the salt of the earth. There's really not that much that distinguished them from the general population; they were more or less run of the mill in every way. Of course the same thing could be said for most of us, so it's no insult. That's just the way it is. Still, the average guy is interesting in his own way. He may not amount to much, but once upon a time, his parents were doing their thing, and a spark of life was sent from heaven. That would be him, each one, George, Bill, Frank, and Dale, a spark from heaven with a slight glow that remained forever. All of them -- George, Bill, Frank, and Dale -- were good law-abiding citizens, and not one of them ever did very much that was wrong, it appears. They watched a lot of TV, went on vacations, married and had a family -- three out of the four -- went to church, and paid their taxes. GEORGE -- George might be called a Happy Camper. He was happy and liked camping. He and Sylvia used to take their kids to the state park and camp. The kids had the run of the campground, and for everyone involved, it was the life. Apart from that, they lived in the town here. George ran a gas station over on 1st Avenue, which has since changed hands a dozen times. I knew George as a gregarious, happy kind of guy, likely to know your name and remember his dealings with you. Like most of us, from time to time he showed a temper. I was in his garage several years ago when he got a phone call, and with that his mood soured. He threw a bolt across the room and it bounced off the wall. It could have killed someone, but fortunately no one was standing there. I've always believed the sourness I saw that day probably went deeper with George, and that he probably erupted at little things a lot, and, given the right circumstances, he might have murdered someone. Who knows how often he looked over at the woods next to the campground and thought about burying someone? BILL -- Bill, good old Bill. Bill worked up the street, also on 1st Avenue, right on the square, in one of the pharmacies. I met him when I used to buy comic books as a kid. He always got a big kick out of my frugality, how I would buy two 12 cent comic books one at a time to save the penny tax. But it was smart, because you could buy something with a penny. And sometimes, most of the time, Bill was in a jolly mood and would be happy to give a kid a piece of candy for free, so candy was basically two for one, too! Then I also knew Bill over the years. We went to the same church for a while, and Bill was a good guy in church. He had a deep, masculine voice and a lot of confidence, and he offered a lot of moving solos and duets. I personally never suffered a cross word from Bill, which isn't to say others didn't. There was always something about his manner that made you wonder if maybe, just maybe, he had a desire to kill someone. With his confidence -- and being a pharmacist, they have to have an eye for detail -- he would have figured all the angles, and he just might have gotten away with it. FRANK -- Frank worked at the factory. He worked himself up to foreman, since he was so responsible and had a way with men. He was also confident like Bill, with his confidence used to direct the men on the line toward efficiently carrying out their tasks. There's a lot of interlinking parts in work like that, and you have to coordinate a lot of things, guys coming on the line who don't know much along with all the old veterans. And if it works right -- and it usually did with a guy like Frank -- you come out with a finished product you can be proud of. At work and outside, as to his personality, Frank was something of a rascal. He was the practical joker type. He liked to pat you on the back while he was ribbing you. I knew him because he was a friend of Grandpa's. When he saw me, he'd always be asking if I had a girlfriend yet, and he teased me about my long hair. He ribbed me always in a good-natured way, but, you know, sometimes it got to be a bit much. Looking back, I probably should have been more careful, but I was just a kid. Because Frank was the kind of guy, you wouldn't want to push his buttons too much, seriously, because someone might have died. And my honest opinion is, it would have been murder. DALE -- Dale. Calling him Dale seems odd to me, because Mr. M_____ was a teacher, a gym teacher, if you can believe it. There's no way Dale looked the part of a gym teacher, but at the time I didn't know it. I just knew Mr. M_____ was a fixture at the school, and that was it. So I knew him going way back to elementary school. Then, oddity of oddities, years later he ended up at the high school when I was there. Just because I knew him, though, we were never close. OK, the odd thing about him being a gym teacher is that he was very mousy, like Wally Cox. You expect a gym teacher, whether man or woman, to be a macho behemoth, but that wasn't Mr. ______, or Dale. Dale never married and never had kids. Why exactly that was, I really never gave it a moment's thought. But knowing what I know now, I'd have to say there was a good reason for it. He never did anything to me, certainly, and I never heard of any other guy having any trouble with him. He's actually a quite respected member of the community, and a lot of people have nothing but fond memories of him. But don't you have to guess, if you really think about it, that there was something serious going on under his milquetoast exterior, some darker instincts that played out when he was at home alone ... or maybe out of town? My guess would be -- and I don't say this lightly -- Dale had something hidden in his heart, very likely thoughts of murder. But now, living in the nursing home, he's probably harmless. 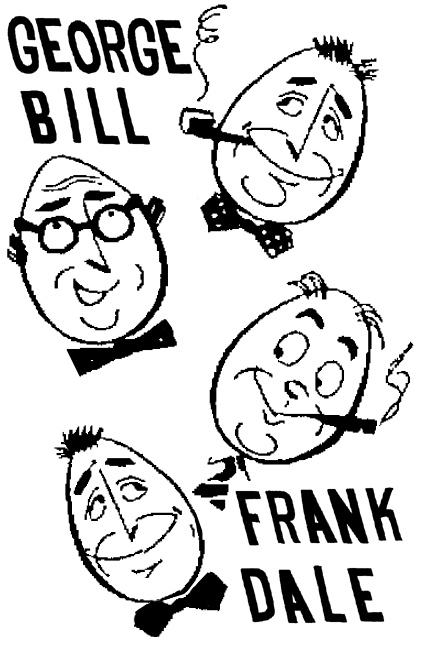 No one would ever suspect anything of George, Bill, Frank, and Dale. And it's only natural, because not one of them ever did anything wrong. Certainly nothing with any definite proof.